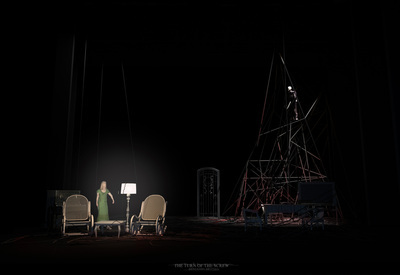 At the beginning , only﻿﻿ some furniture are on the floor. 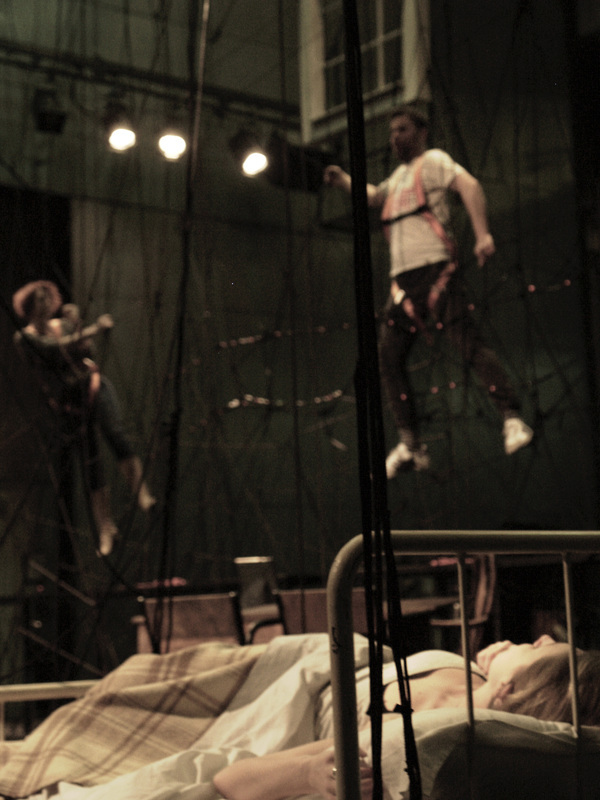 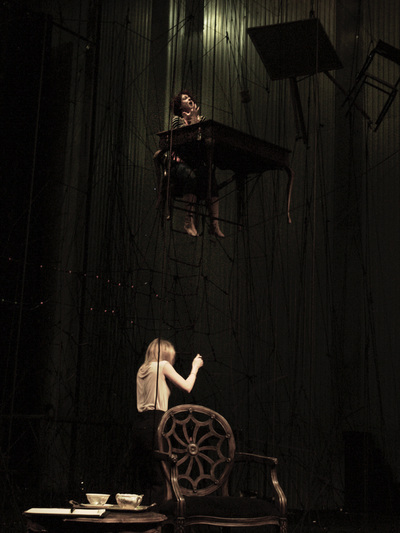 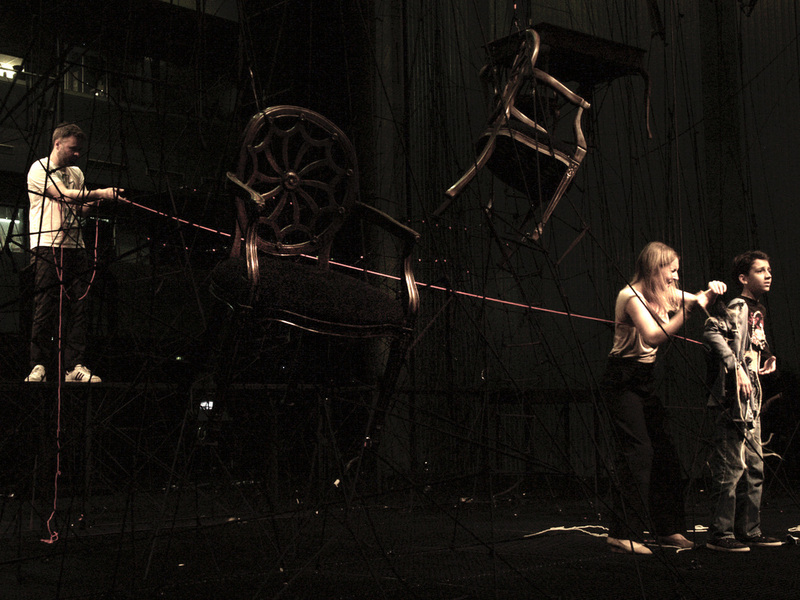 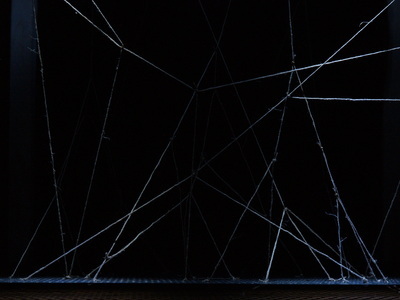 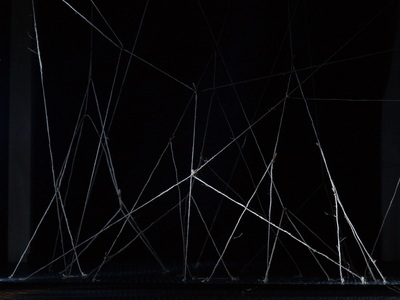 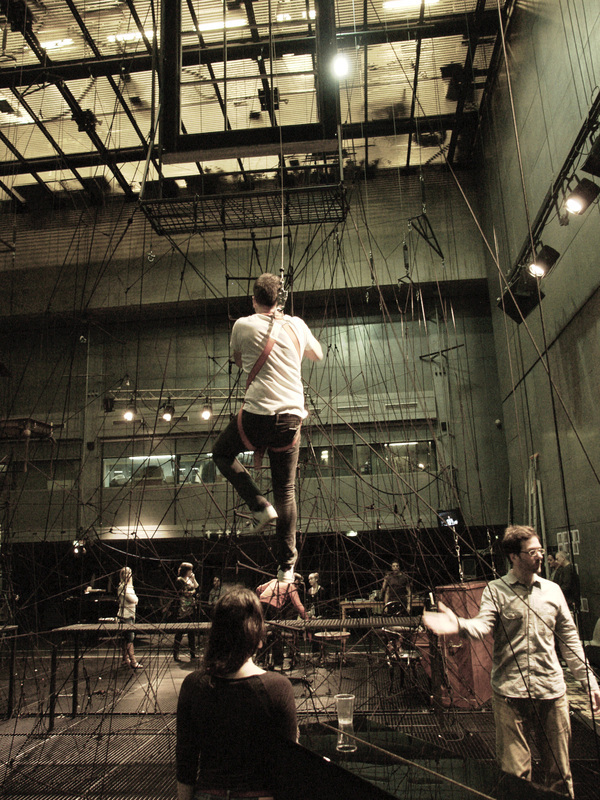 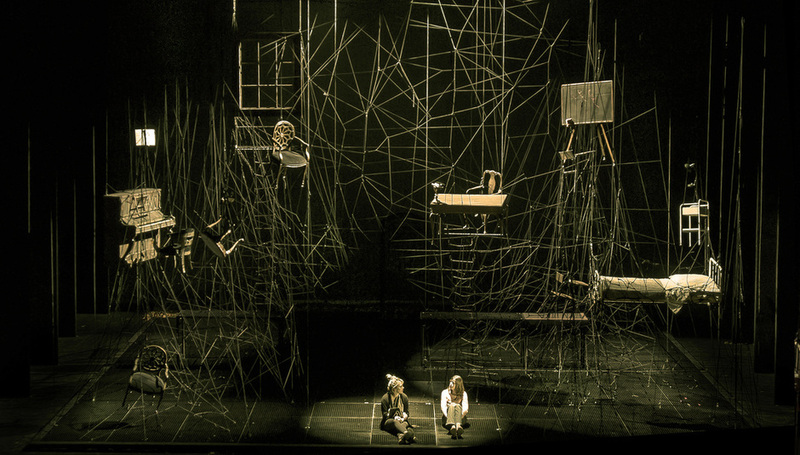 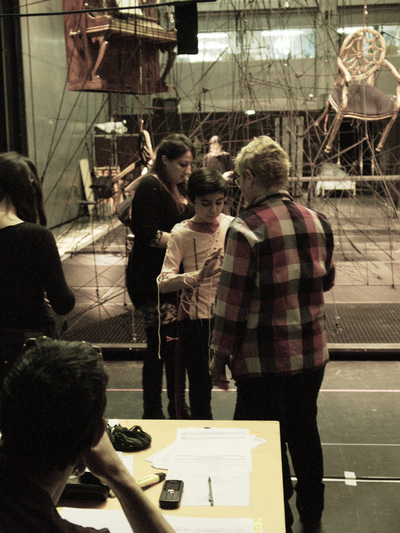 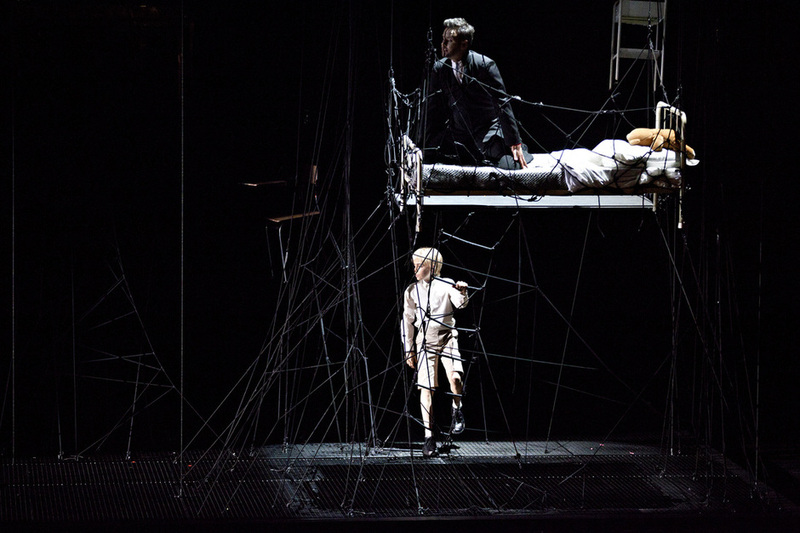 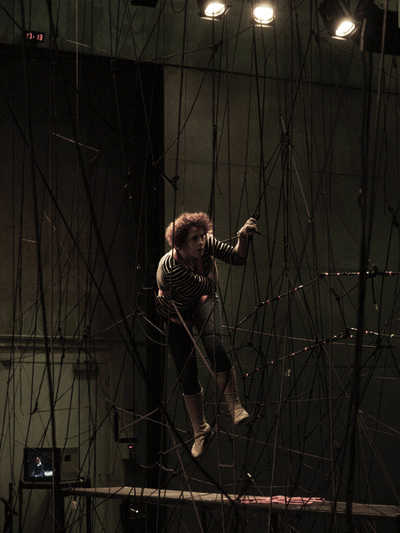 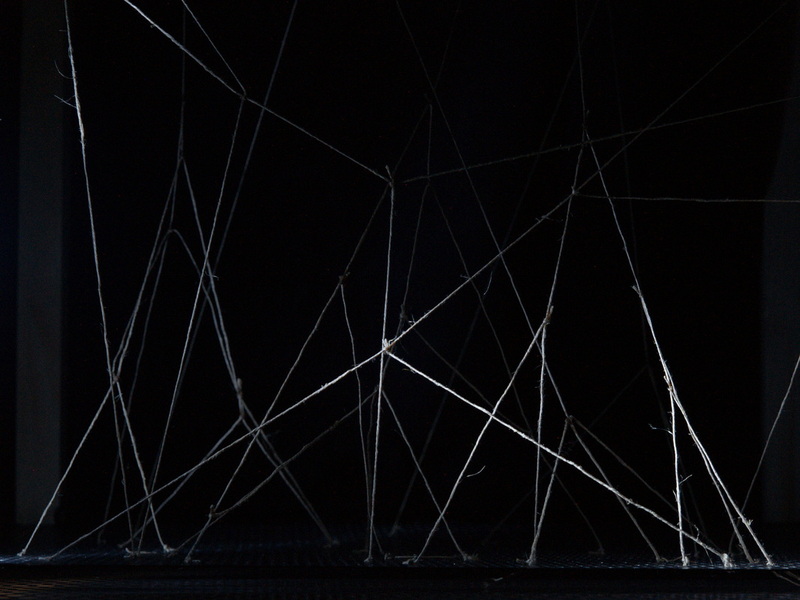 During the show a big web grows catching everything and transforming the stage in a big trap. 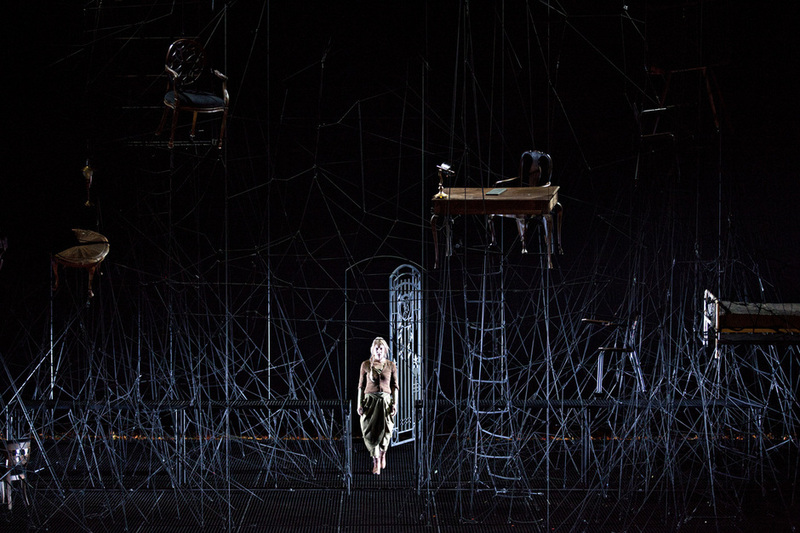 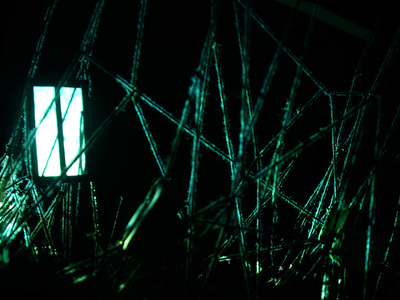 Only when the big web moves up the floor, we discover the magic garden under the mysterious house. 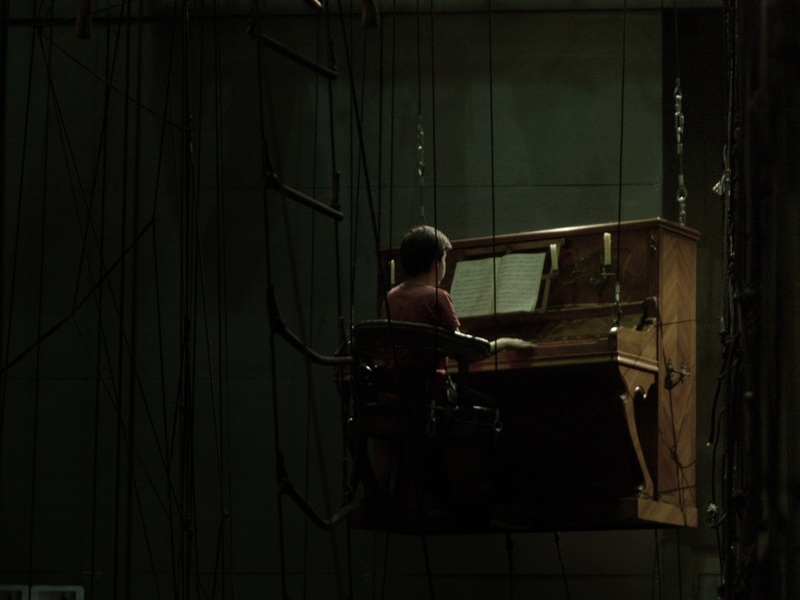 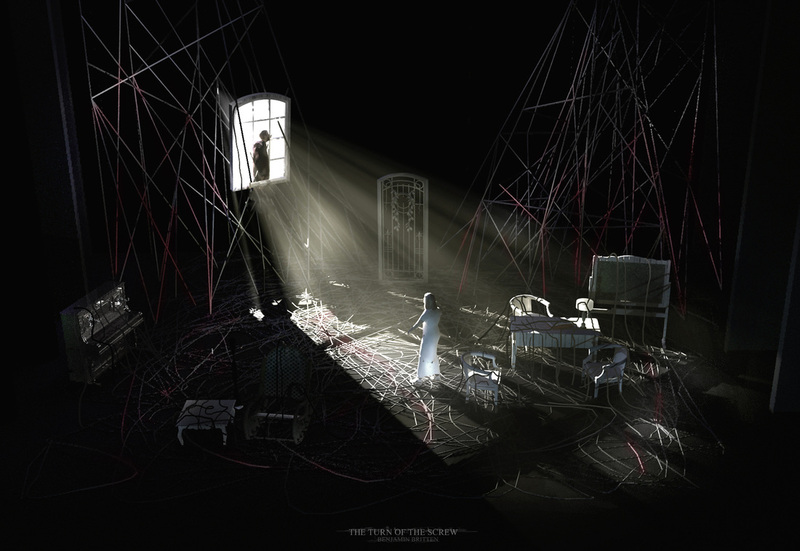 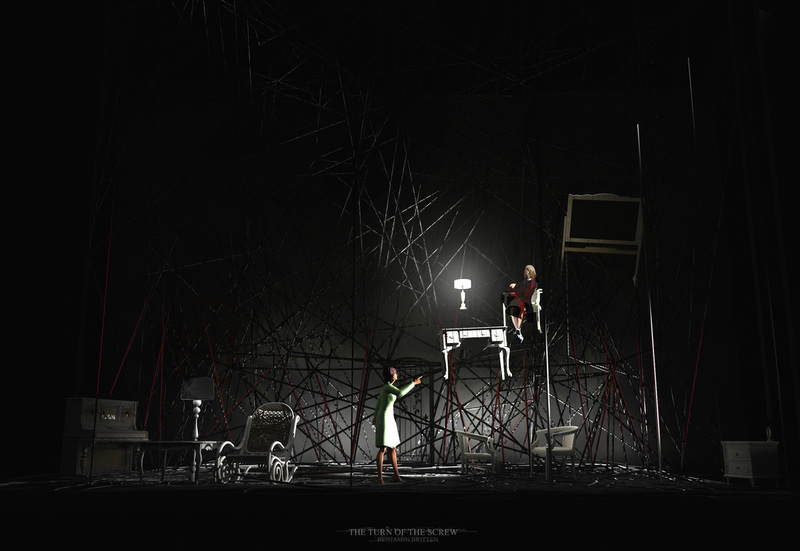 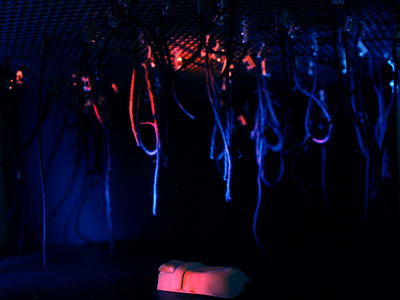 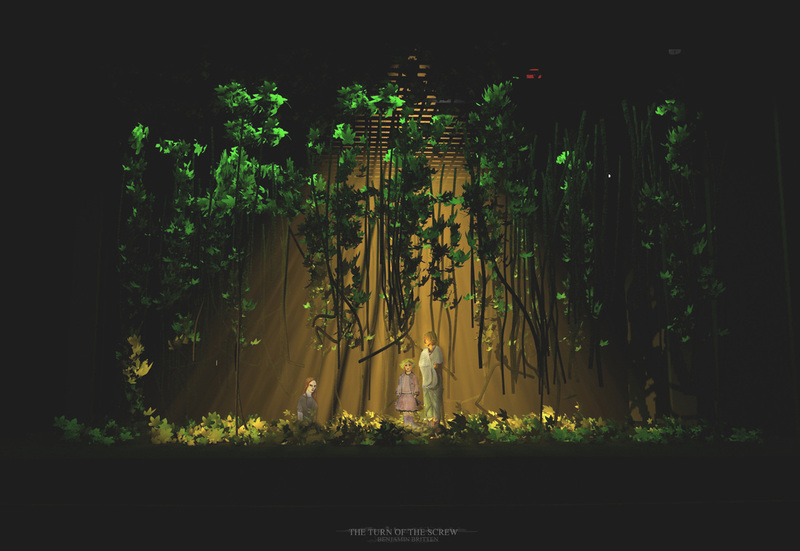 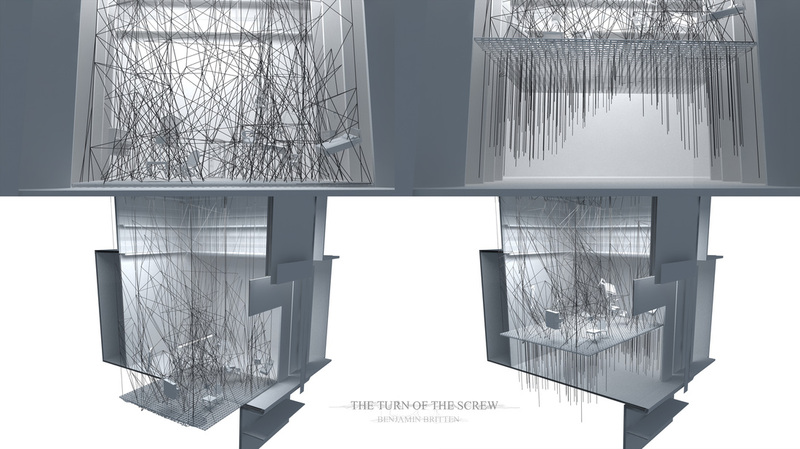 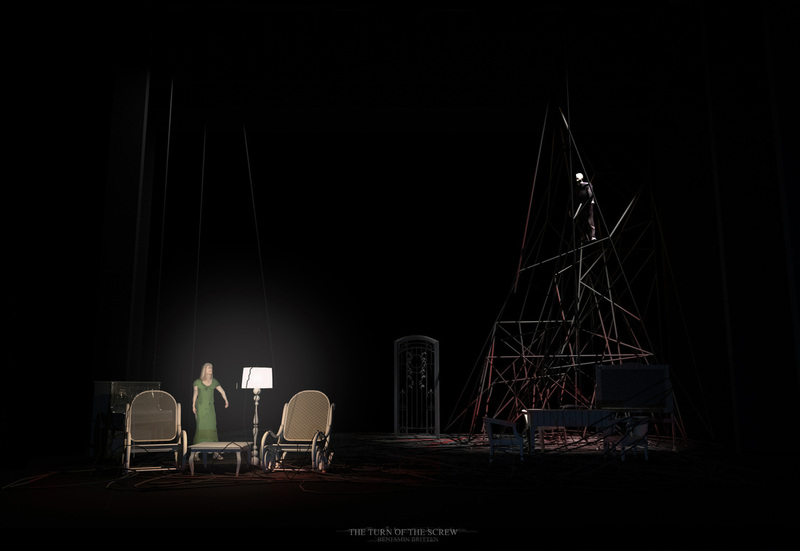 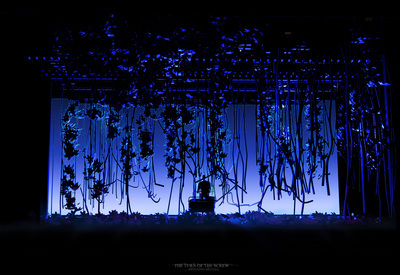 The most important scenes were created in 3d for the presentation of the set one year before the premiere. 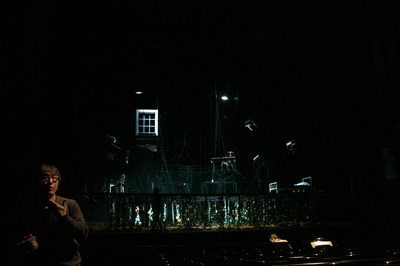 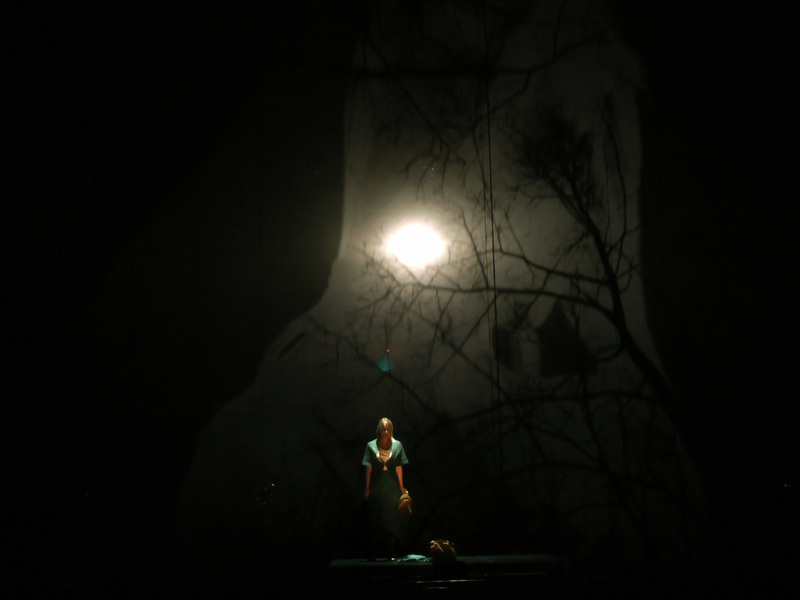 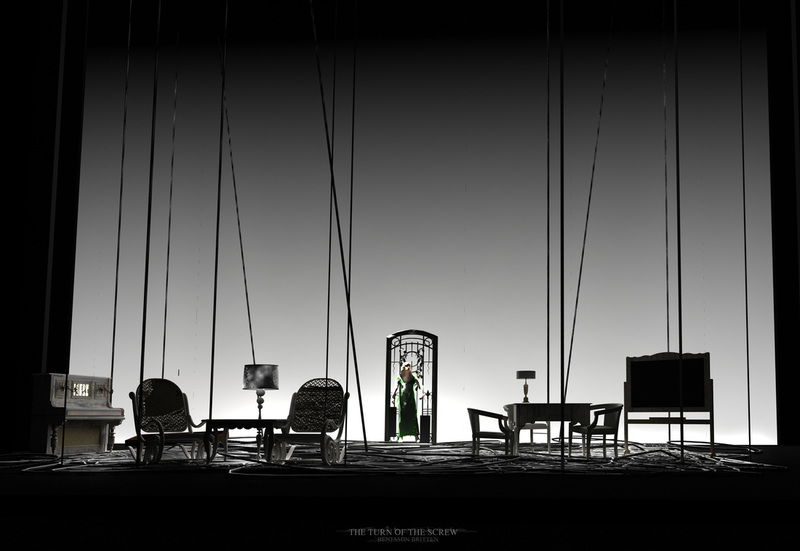 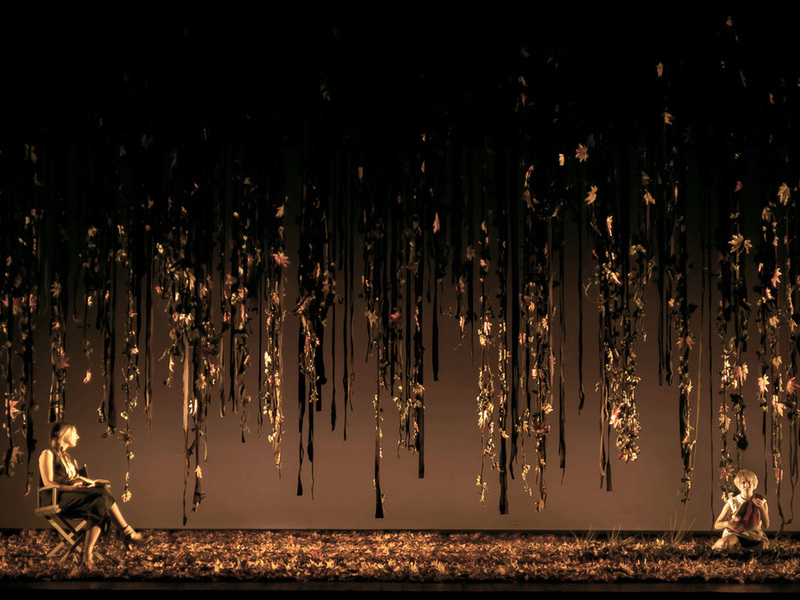 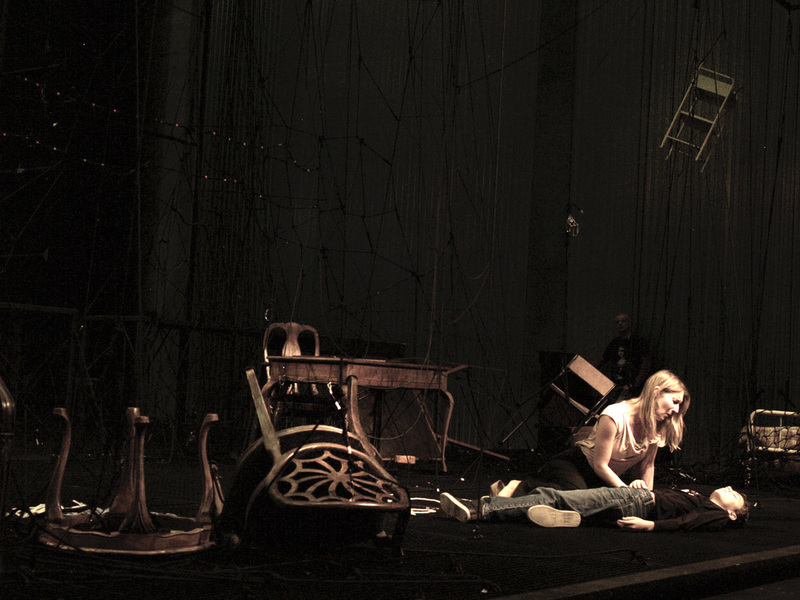 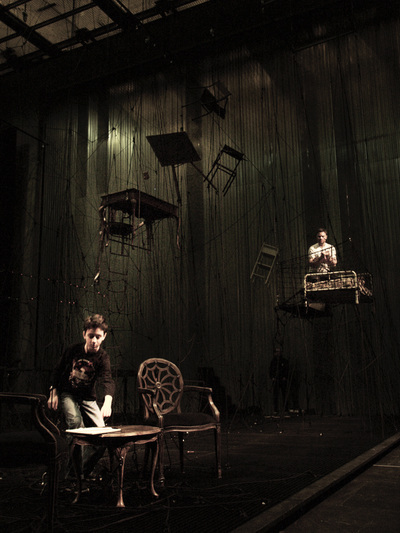 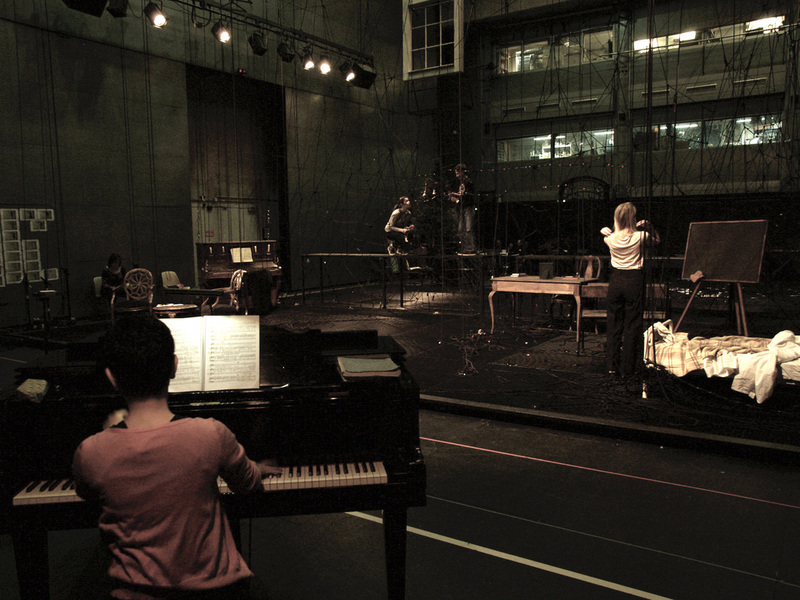 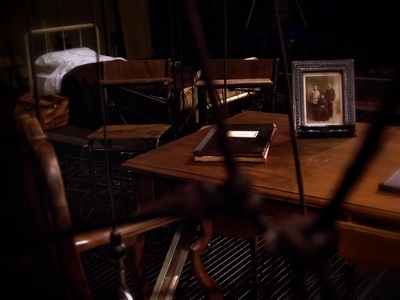 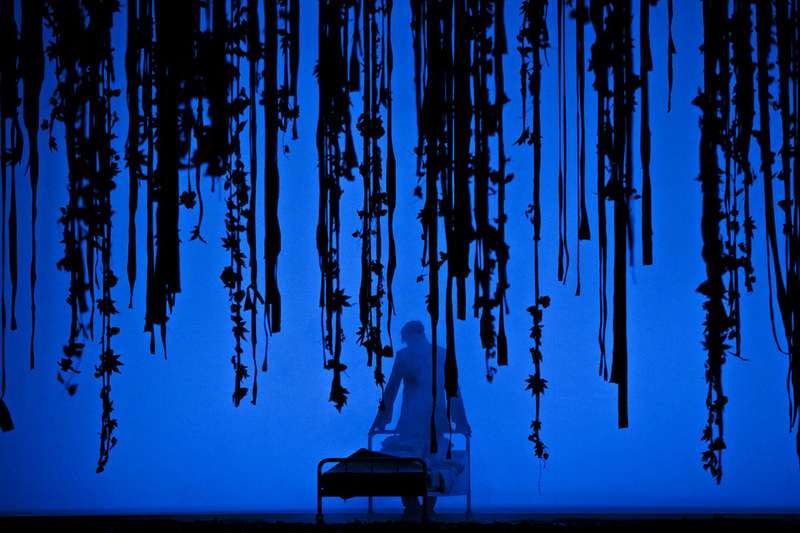 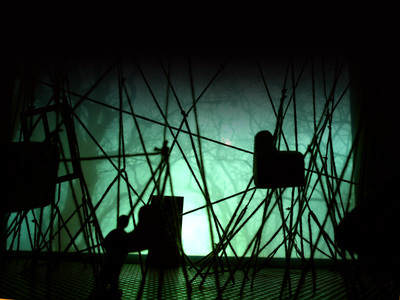 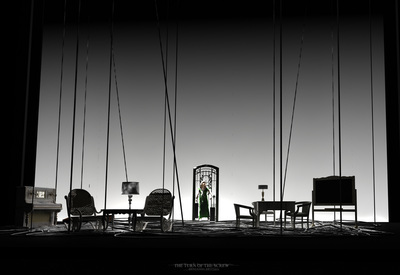 The set was builded in the rehearsal room one month before the premiere. 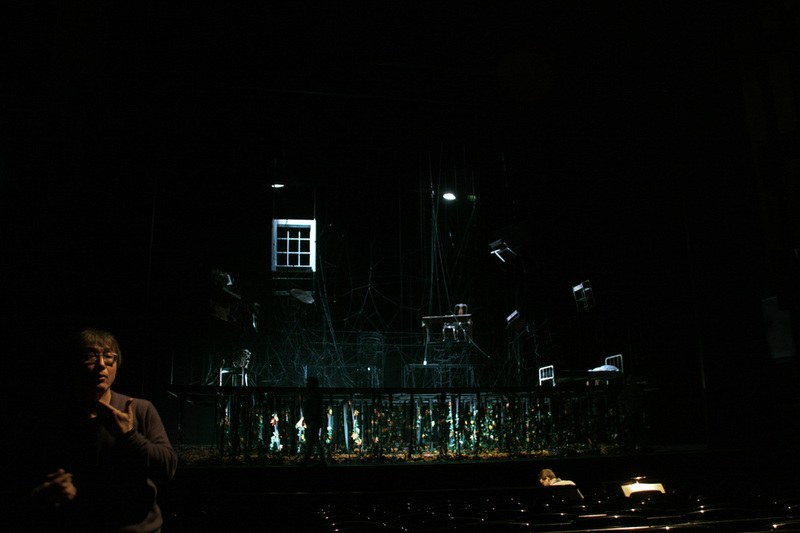 During this period we saw all of the possibilities of the set, and all the team get more comfortable with the web before the stage. 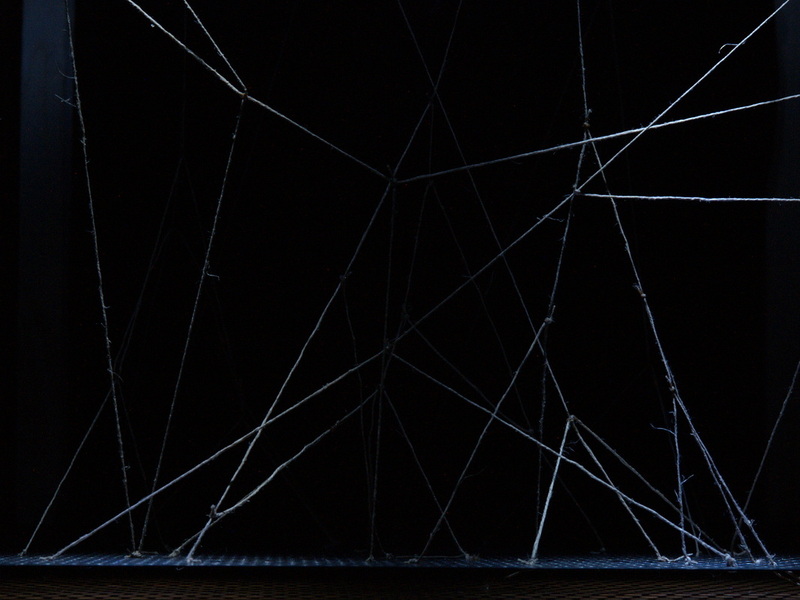 Trying to find the best tension and balance in the big web. 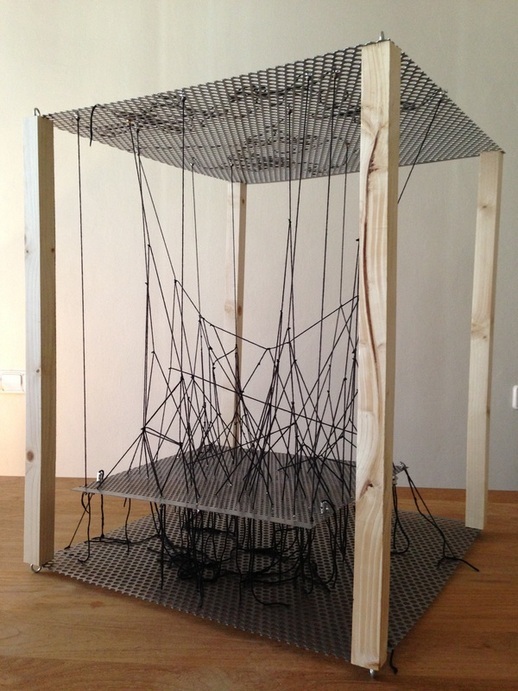 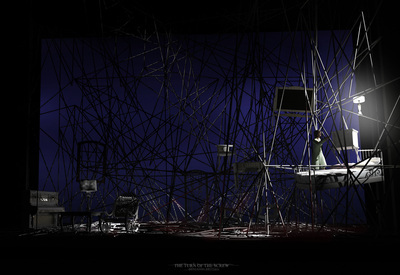 A real model was necessary to find the final geometry of the set. 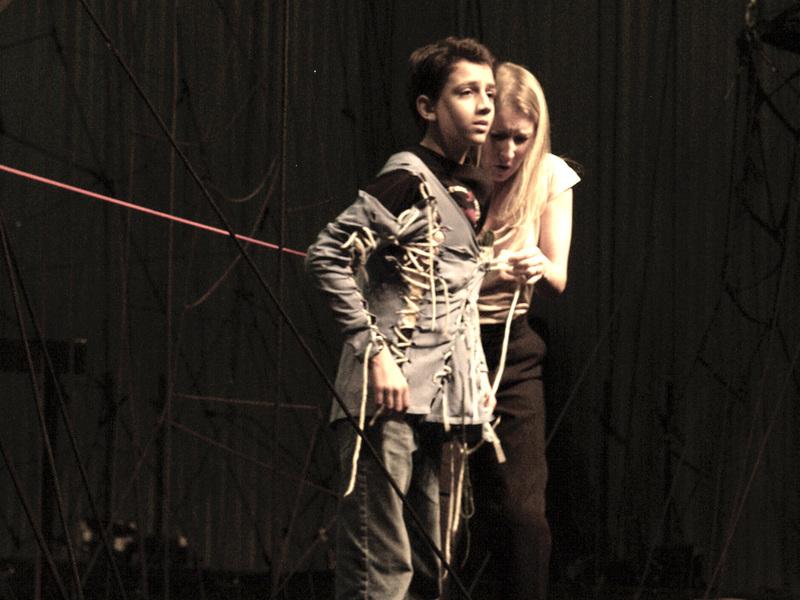 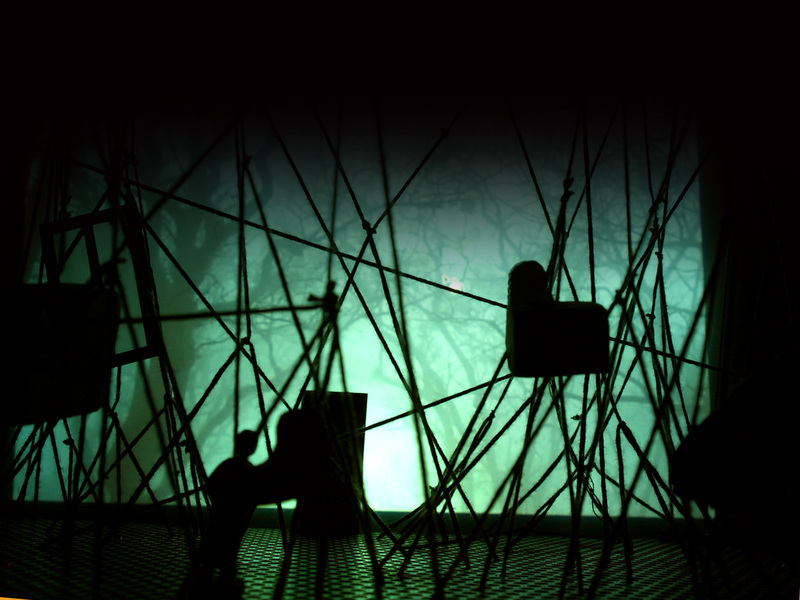 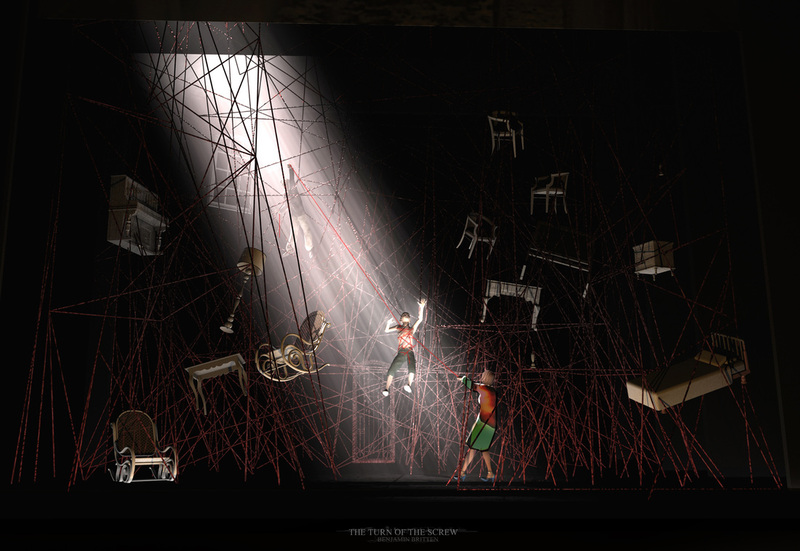 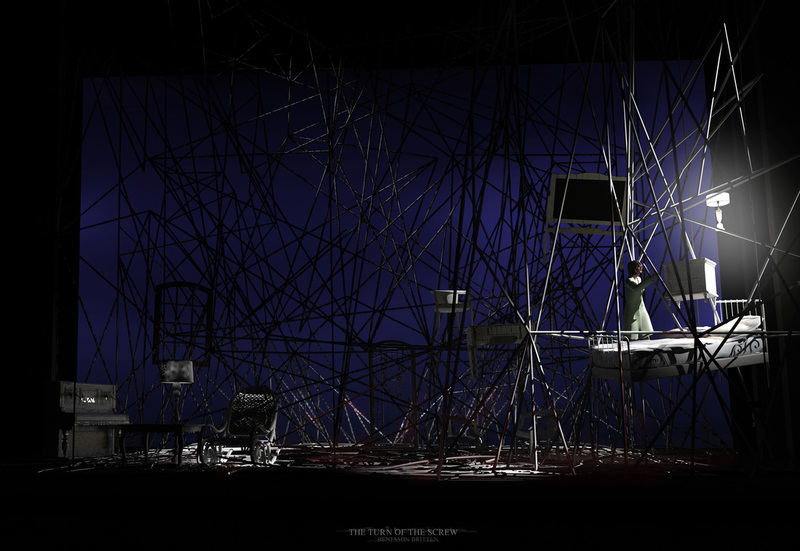 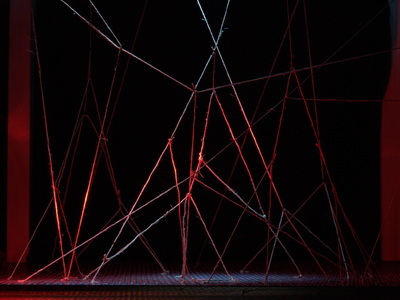 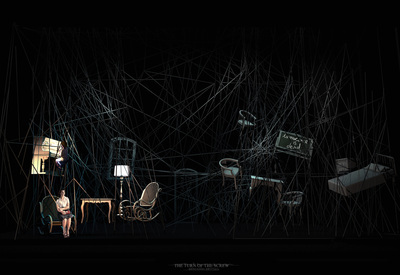 The 3d simulation helps us to check all possible conflicts with the ropes before building the set.